I think when your adding motors to a kayak maybe it's time to look into buying a boat. This is a nice article. Your guideline is too good. It inspired to do this task. The guideline is very strong. Thank you for your nice sharing. Everyone appreciate your article i also appreciate it but this is a most important things a excellent info-graphic. 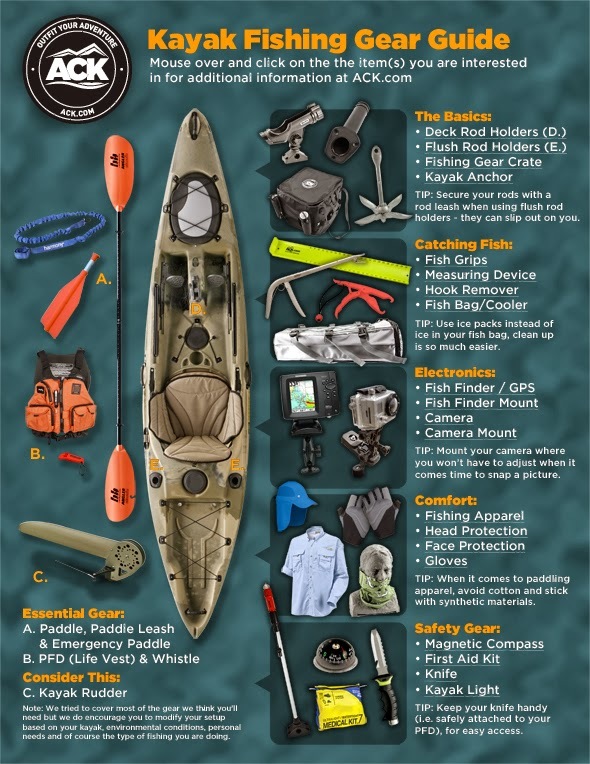 You have share in your info-graphic all features of fishing gear, fishing equipment and also affordable fishing tips. Thank you very much for sharing this informative article and also excellent info-graphic. Fishing is very interesting game specially when we want to go outdoor in the different place. As a beginner we don't know about outdoor camp but you have write with your blog affordable tips about outdoor for fishing and why we needs kayak for fishing. You have share all fishing tools with your info- graphic. If you want to know more fishing related tips click here for get more tips. Thank you very much for sharing this informative article. Just go for good streaming apps.